THE RETURN OF GNOSTICISM ? Over the past few years, there has been an enormous popular interest in Gnosticism and early Christian writings. Book shops are full of material on the subject and, on Christian holidays, the media bombards us with television productions on the topic. But the Gnosticism that is today being hailed as the ‘original Christianity’ is anything but the Gnosticism that plagued the Christian Church between the second and fourth centuries. One of the main characteristics of Gnosticism was an ethos that saw the material world as inherently evil. To the Gnostics, therefore, the idea of God made flesh (a thing evil and beyond redemption) was repugnant and ridiculous. For the Gnostics, salvation could only be achieved by an escape from the body and the material world. Christ therefore, according to the majority of the Gnostic writings, only appeared to be a man. His body was nothing more than a cloak or a mask by which He could be seen and touched, but which had no bearing on His person. As a result, many of the Gnostic writings do not contain a narrative of the Crucifixion and Resurrection (for these were not considered by the majority of Gnostics to be saving events), but are accounts of Christ’s ‘secret teachings’, often allegedly imparted to one or other of the apostles. The Gnostic writings that do contain narratives of the Passion and Resurrection are often imbued with a strong Gnostic ethos. A Christ that feels no pain on the cross is a classic example. The Gnostic writings for the most part were effectively polemical works which attempted to refute or ridicule the Christian belief that Christ was truly man as well as God, but they were also largely pseudonymous works (falsely attributed by the author to an important Christian figure, usually an Apostle). By contrast, Gnosticism is today being upheld by many as the exact opposite: a Christianity that saw Christ as a mortal prophet and not as the Son of God, and they claim that this form of Christianity, which some now claim is Christianity in its original, unadulterated form, was suppressed by the Constantinopolitan Church which portrayed Christ the mortal prophet as a divine being. How these Gnostic works can today be understood and put forward by anyone with half a brain cell as a Christianity that saw Christ as purely human and not divine is quite beyond my comprehension. In order to illustrate that the exact opposite is true, we will look at just a few of the best-known of the ‘lost gospels’ which still survive, if only in part, today. But to start with, it would be helpful to first have an idea of how the Church decided which of the many different sacred texts that were being written and circulated were authentic. Apostolic. The book had to be written by an apostle or by a companion of the apostles. Catholic. Different churches used different scriptures. To be included in the canon, a book had to have widespread acceptance among the local churches. Orthodox. This fourth criterion was by far and away the most important. To a certain degree, the first two criteria hinged on this one criterion. If the theology of a sacred text was not Orthodox, then it could not have been apostolic or ancient. A good example of how the Orthodoxy of a book helped determine its apostolicity can be found in Euesbius’ account of Serapion and the Gospel of Peter. Serapion, a bishop of Antioch during the late second and early third centuries, paid a visit to one of his churches in the village of Roussos, where he learned that the church there used a gospel written by the Apostle Peter in their worship. Serapion saw no problem with this, for he assumed that the gospel had indeed been written by Peter. After returning from his travels, he was informed that the so-called Gospel of Peter was infact a docetic Gospel.1 Serapion acquired a copy of the book and he noted that it was indeed shot through with docetic ideas. Serapion then sent an encyclical to the church in Roussos, ‘On the So-called Gospel of Peter’, instructing them to not use the Gospel in their worship. For Serapion, the fact that the Gospel of Peter contained docetic theology was evidence enough that it was not written in the time of the Apostles. Therefore, it could not have been written by St Peter, nor was it ancient. But it should not be thought that the Orthodoxy of a Christian work was the sole criterion for determining its inclusion in the New Testament Canon. The Shepherd of Hermas, a Christian text that the Church never considered to be heretical, was not included in the New Testament Canon simply because it was known to be a relatively recent work. Not all of the early Christian writings that did not find their way into the Canon were considered to be heretical. Indeed, some of those works have been integrated into Orthodox Tradition, but all of the above four criteria had to be met if they were to be included in the Canon of Sacred Scripture. The Gnostic writings however, simply did not meet a single one of the above-mentioned criteria. In other words, even if a work is proven today to not be written by the person to whom it is attributed, its Orthodoxy and Catholicity, its enduring position in the New Testament Canon and in the life and Tradition of the Church, means that such a book maintains its authority and so remains a part of the sacred Canon of Holy Scripture. Ancient, Apostolic, Catholic, Orthodox: such were the criteria for determining a book’s place in the New Testament Canon, and the Gnostic writings simply did not qualify by a long shot. But if the Gnostics were to have any chance of having their views recognised as sacred scripture, they had to pass off their theological ideas as apostolic, and so many Gnostic Gospels were written by their authors in the name of one of the Apostles. We will now look at a few of these texts, beginning with the Gospel of Peter, which I briefly mentioned above. Before the discovery of the surviving fragment of the Gospel of Peter in 1886, we knew of this gospel from the Christian historian Eusebius (as we saw above). It was probably written in the early 2nd century, making it the oldest surviving gospel from outside of the New Testament. This gospel, unlike many Gnostic Gospels, deals only with the Passion and Resurrection of Christ. It could perhaps be described as the first Passion Play. The fragment begins with Pontius Pilate washing his hands, an account found in the New Testament only in the Gospel of Matthew, but the Gospel of Peter slightly differs in that the Jews in Peter’s Gospel are described as refusing to wash their hands, thereby refusing to proclaim themselves innocent of Christ’s blood. This is more in line with the more anti-semitic literature of the 2nd century, something which is not found in the writings of the 1st century, to which the New Testament belongs. As the narrative progresses, we come across an account of the Crucifixion which in some ways resembles those of the New Testament, but significantly differs in other respects. Christ is crucified between two criminals, as in our New Testament Gospels, but we are told that “he was silent, as though he had no pain”. This is clearly a docetic interpretation of the Crucifixion: he was silent as if he had no pain because he had no pain. In the Gospel of Matthew, shortly before Christ dies, he exclaims: “My God, my God, why have you forsaken me?” In the Gospel of Peter, we read something similar, but it has a distinctly Gnostic twist: “My power, my power, why have you left me?” Here, Jesus is mourning the departure of his divine nature from him before his death, leaving only his human ‘shell’ on the Cross – something that is very much in line with the views of many Gnostic groups. Reading on, we come to a rather bizarre narrative of the Resurrection. The stone of the tomb rolls away of its own accord, and from within three men appear. The heads of two of them reach up to the skies, and they support the third, whose head reaches beyond the skies. Behind them appears a cross, and a voice from the heavens asks: “have you preached to those who are asleep?”, to which the cross replies: “yes”. A Christ who feels no pain on the cross, who then resurrects in the form of a living skyscraper, accompanied by a talking cross. This is hardly a Gospel that portrays Christ as a mere mortal prophet! The son of Annas the scribe was standing there with Jesus. Taking a branch from a willow tree, he dispersed the waters which Jesus had gathered. When Jesus saw what had happened, he became angry and said to him, "You godless, brainless moron, what did the ponds and waters do to you? Watch this now: you are going to dry up like a tree and you will never produce leaves or roots or fruit." And immediately, this child withered up completely. Then, Jesus departed and returned to Joseph's house. The parents of the one who had been withered up, however, wailed for their young child as they took his remains away. Then, they went to Joseph and accused him, "You are responsible for the child who did this." Next, he was going through the village again and a running child bumped his shoulder. Becoming bitter, Jesus said to him, "You will not complete your journey." Immediately, he fell down and died. Then, some of the people who had seen what had happened said, "Where has this child come from so that his every word is a completed deed? And going to Joseph, the parents of the one who had died found fault with him. They said, "Because you have such a child, you are not allowed to live with us in the village, or at least teach him to bless and not curse. For our children are dead!" And taking his child aside, he warned him, saying, "Why are you doing these things? These people are suffering and they hate us and cause trouble for us. "Then, Jesus said, "I know that the words I speak are not mine. Nevertheless, I will be silent for your sake, but these people will bear their punishment." And immediately his accusers became blind. When they saw what he had done, they were extremely afraid and did not know what to do. And they talked about him, saying, "Every word he speaks, good or evil, is an event and becomes a miracle." Here we can see that the author of this Gospel is making a point that Christ is the Son of God and not the son of Joseph and focuses on Christ’s divine nature even in infancy. Again: not a Gospel that focuses on Jesus’ human qualities. Unlike the Gospels of our New Testament, which combine narrative accounts of the life of Christ with sayings, the Coptic Gospel of Thomas is nothing more than a Gospel of sayings. The date of this gospel is still debated by scholars. The difficulty in dating the gospel arises from the difficulty in deciding whether or not it is in fact a Gnostic gospel. But there were many forms of Gnosticism. This gospel does not appear to display the docetic or dualistic ideas found in many of the other gospels, but expresses the belief that people have the capacity within themselves to perceive the Kingdom of God on earth. This might sound compatible with Orthodox theology, but it also suggests that this perception of the Kingdom on earth is achieved by a quasi-intuitive knowledge of the mysteries of the universe and of secret formulae indicative of that knowledge – something very much in line with Gnostic teaching. It is therefore most likely that this gospel does not go back earlier than the late second century, although some contemporary scholars do not accept this conclusion, and some even claim that this gospel is infact older than the canonical gospels, and have even suggested that it was written by Christ Himself, but the most sensible biblical scholars and historians agree that it does not date anywhere near the time of Christ and was certainly not written by Christ or by Thomas or by any other apostle. This gospel dates back probably no earlier than the second century since it contains theology that is not represented before the second half of the second century, and since its introduction and epilogue assume the reader is familiar with the canonical Gospels. The Gospel of Judas, as suggested by Irenaeus’ comment on the gospel, portrays Judas in a very different perspective than do the Gospels of the New Testament. The author of the Gospel of Judas interprets Judas's act not as betrayal, but rather as an act of obedience to the instructions of Jesus. This conforms to a notion, current in many forms of Gnosticism, that the human body is a spiritual prison, and that Judas served Christ by helping to release Christ's spirit from his human body. Furthermore, the Gospel of Judas claims that of all the disciples, Judas alone knew the true teachings of Christ, asserting that the disciples had not learned the true Gospel, which Jesus taught only to Judas Iscariot. In the Coptic Apocalypse of Peter, Christ’s laughter not only signifies his inability to feel pain; his laughter - as in the Gospel of Judas – is there to ridicule those who believe that their salvation will be achieved through the death of Christ’s humanity, which is commemorated in the Mystical Supper, mirrored in the Eucharistic prayer of the apostles in the Gospel of Judas: “…it is through this that your god will be praised”. For the author of the Gospel of Judas, like so many of the Gnostics, the death of Christ has nothing to do with the salvation of the human race. The Christ of the Gospel of Judas is laughing at those who believe that Christ’s death brought salvation to the world. We have looked at just a few examples from Gnostic writings that some popular writers and even scholars today claim are older than those of our New Testament, and some even claim that these writings present Christ as a mere mortal prophet and not divine. I hope I have adequately illustrated that this is utter nonsense. Most biblical scholars and historians today still agree that these writings were far later than those of our New Testament. And yet, year after year, books are published on the topic of early Christian writings telling us the exact opposite, with titles such as “The Real Jesus”, “The Historical Jesus”, or something similar. 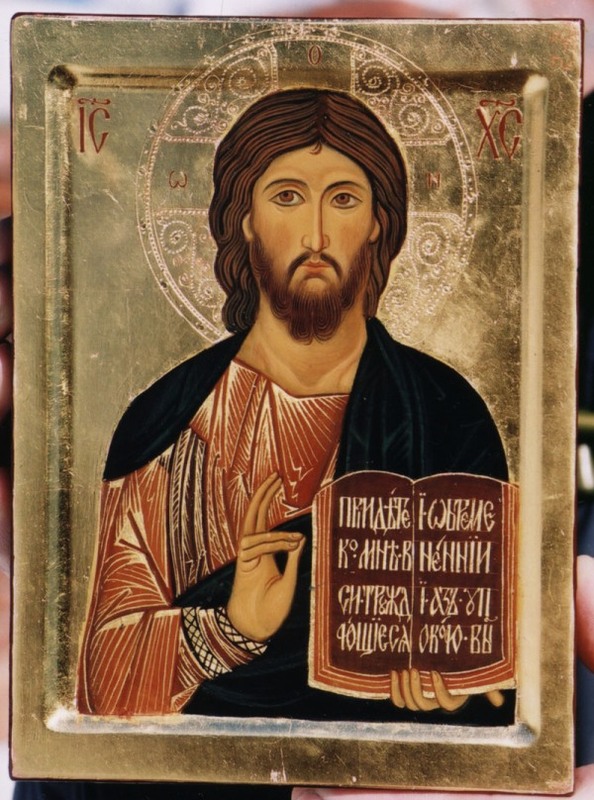 But it remains the case that it is the Orthodox Church that has preserved the truth about Christ and it continues to preserve that truth today: fully God and fully man, of the same essence as God in divinity, of the same essence as us in humanity. The criteria for inclusion in the New Testament Canon were laid down for good reason, and of all the Gospels that we know of, only the Gospels of our New Testament fulfilled those criteria. To find out who the “real Jesus” is, one does not need to look very far. He will find what he is looking for in the Gospels of Matthew, Mark, Luke and John. 1 Docetism is the belief that Jesus’ physical body was an illusion, as was his crucifixion; that is, Jesus only seemed to have a physical body and to physically die, but in reality he was incorporeal, a pure spirit, and hence could not physically die.